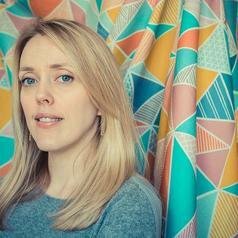 Sian Elin Thomas is a Surface Pattern Designer for Interiors and Lecturer in Textiles for Cardiff Metropolitan University. Sian founded her own company Sian Elin in 2012, selling textiles and wallpaper and working with clients such as Heal's, Oliver Bonas, Fenwicks, and Hallmark. Sian has also worked as an Interiors Stylist for commercial, television, and editorial clients such as Ideal Home Show and Channel 4. Sian's particular interests lie in the history of surface design, trends, and interiors.